Wow! This past year has been a great one in so many ways. I enjoy spending this time of year reflecting on all that was great about the past year and setting goals for making next year even better. There were so many great things in my life this past year, including this blog. As I looked back through my posts from 2015, I was surprised by how much I wrote! It’s not easy to find free time to complete all of those projects plus take photos and write posts about each one. We bought our first home last November, so this year was filled with so many home improvement and decorating projects. The more projects I did, the more I wanted to tackle. While I accomplished a lot in the house this year, I still have a huge list of things I want to do this coming year. I’ve been blogging for a couple years, but this was the year that I completely fell in love with the world of blogging. Instead of just blogging whatever was on my mind and writing for myself, I started writing for my readers. I narrowed my blog’s focus and concentrated on writing valuable, helpful posts. With a lot of practice, I feel like my photography skills improved. As my posts improved, more people wanted to share them – resulting in a few posts being pinned several thousand times on Pinterest. I made my first few dollars from this blog, and even hosted my first giveaway. But probably most importantly, I found blogging friends. I am beyond excited to continue to learn about blogging, make more blogger friends, and especially to get to know my readers better this year. I started the year off strong by tackling our dining room, which was the ugliest room on the main level of our new house. I couldn’t stand the pine wood paneling! 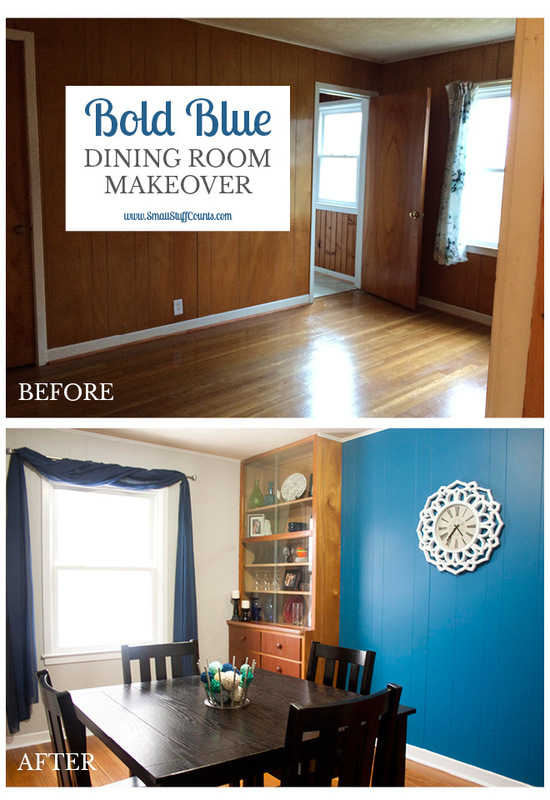 All it really took was some paint to complete this makeover. I’m so glad I took nice before pictures of the house right when we moved in, because now they remind me of how much progress I have made. 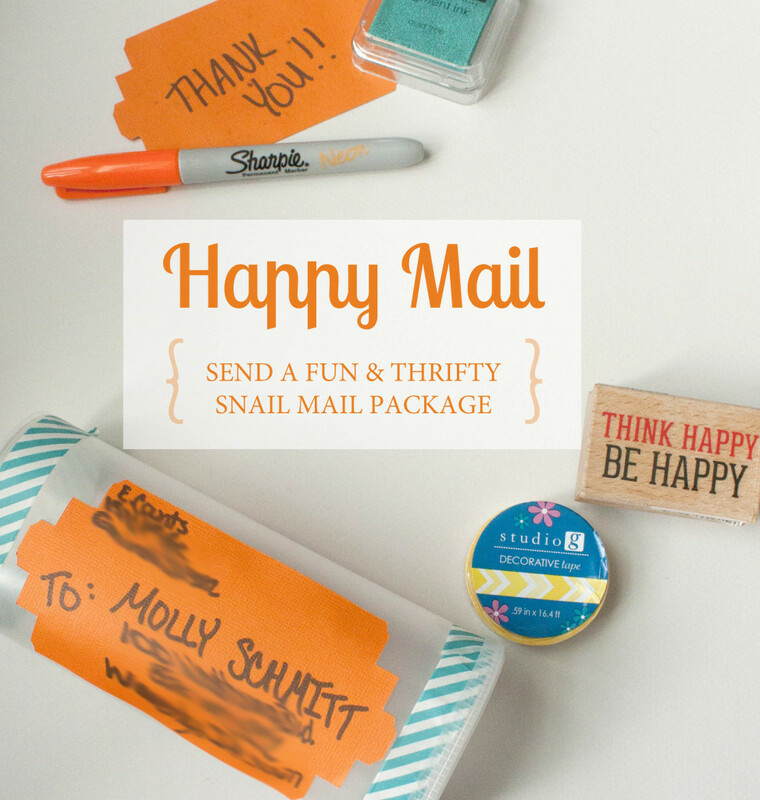 In February, I spent some time sending fun snail mail, and shared this thrifty idea for sending happy mail. Made out of an empty Crystal Light container, it was a cheap and fun project. 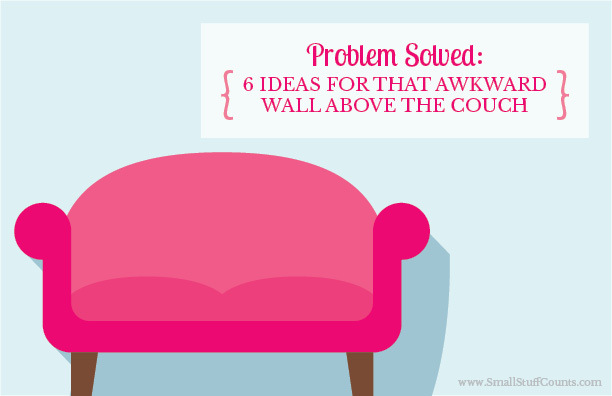 In March, we learned about ways to decorate the awkward wall above the couch. It took me a while, but I finally decorated the wall above my own couch nine months later. 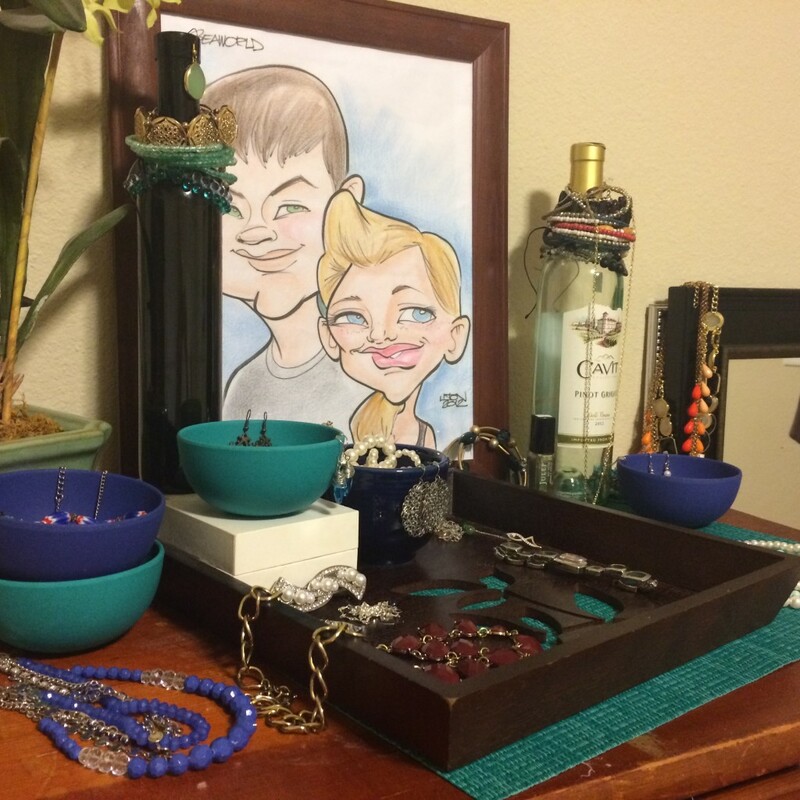 In April, I gave myself a quick 30-minute challenge to organize the jewelry on top of my dresser. It was a huge improvement from the box of tangled jewelry that had sat there since move-in day four months earlier. 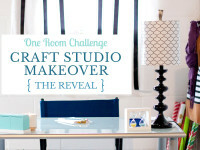 You may see me posting about more 30-minute decorating challenges in the coming year. The month of May was crazy for me, so the blog was pretty quite. 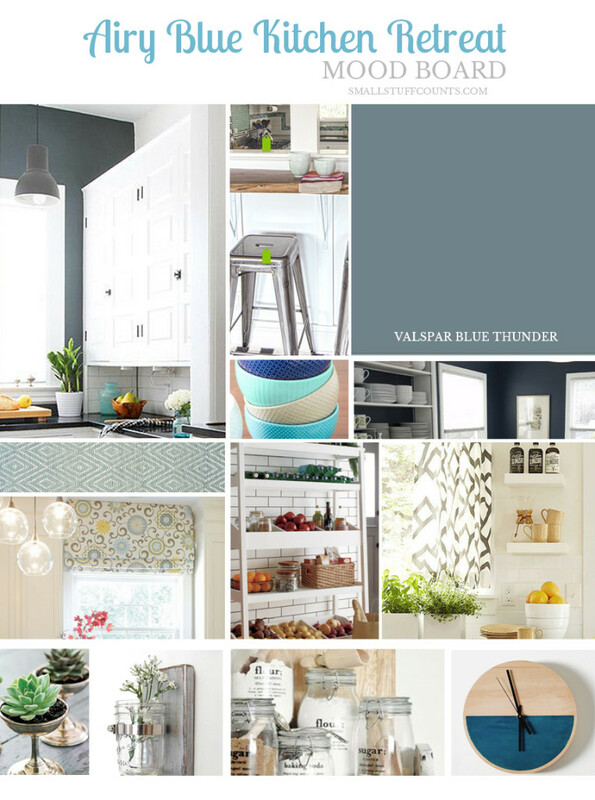 I did post this airy blue kitchen mood board. It’s making me realize how long ago I shared it with you! I’ve actually made some major decorating progress in the kitchen this year, but I’ve neglected to share an update with you. I have been patiently searching for the perfect shelving for an empty wall, and I guess I keep pushing off a blog post about it because I wanted to add in the shelving first. I did install a little breakfast counter along the window, and will be posting about that project in January. All I wanted to do in June was be outside and enjoy the beautiful Iowa weather. I also felt like planting flowers, since this was my first summer with an actual yard and front door. 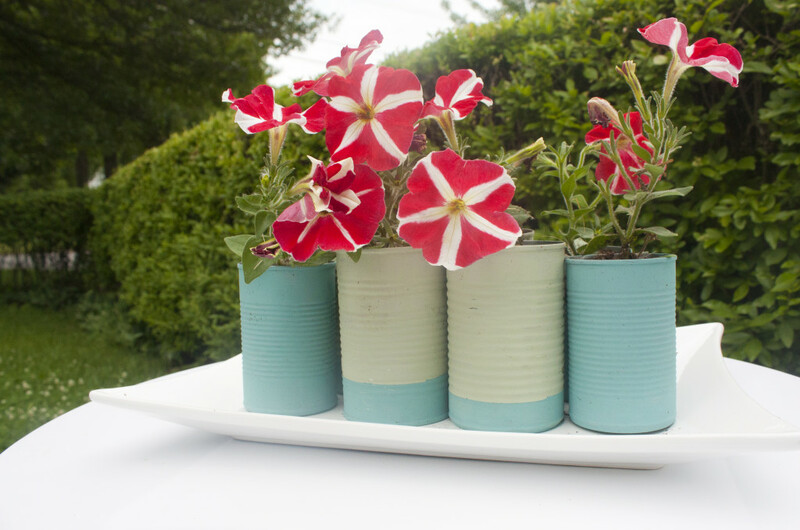 I ended up painting these thrifty dip-dyed in can vases. The highlight of July was Scarf Week, where a bunch of us bloggers shared DIY scarf projects during the week. It was so fun to see everyone’s creations! 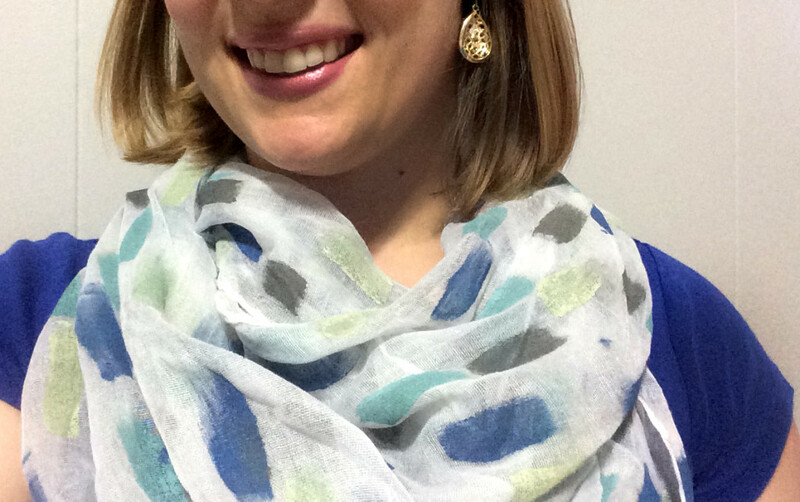 I made this brush stroke scarf. I also shared some tips for organizing your email inbox once and for all. 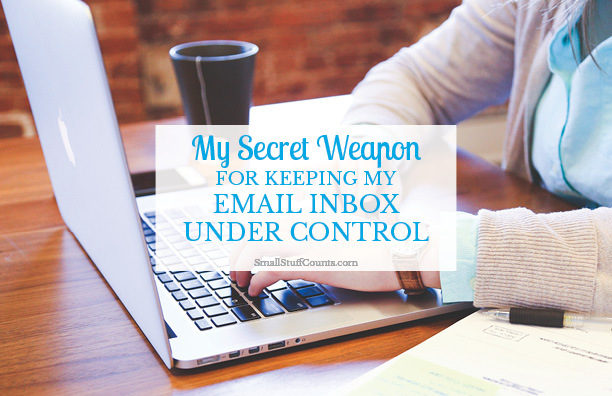 This post has been one of my most popular, which isn’t all that surprising considering how out of control email gets for most people. I plan to share a lot more organization and productivity tips with you in 2016, which I’ve already started by launching the month-long Resolve To Get Organized Series. 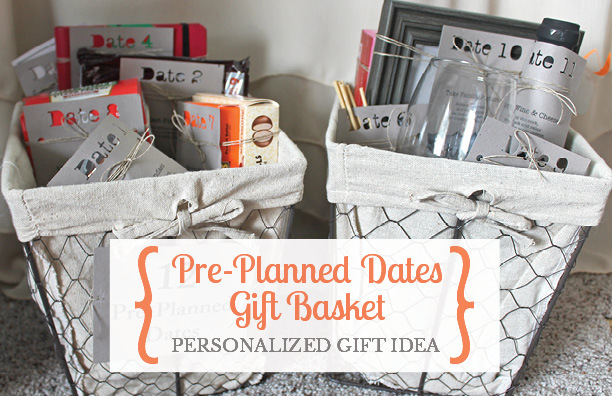 In August, I posted about this pre-planned dates gift basket idea. This post has topped the charts in my blog traffic, and gets pinned hundreds of times a week on Pinterest. The post included rhyming gift tags for each date, and I asked people to leave me a comment if they needed help creating other rhymes. I’ve actually had many people ask me for rhyme ideas, and have really enjoyed writing fun little rhymes based on the different themes they send me. The other day, I helped a reader write a rhyme for a snowman making date, which I thought was a cute idea. 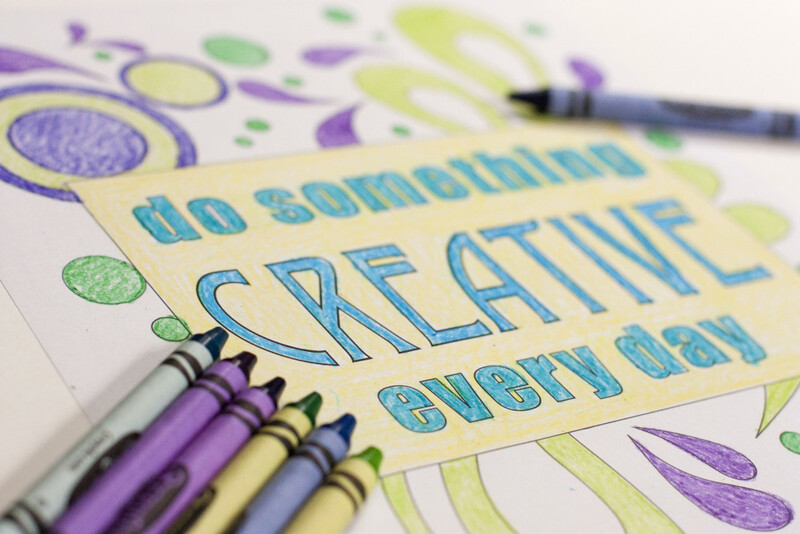 I’ve always enjoyed coloring and have found it to be a great stress reliever, so I shared a downloadable creativity quote coloring sheet. I’m so glad other people are finally getting the memo about how great coloring is (evidence: the number of adult coloring books appearing in so many stores this year). September was a fun month because I was invited to participate in the Thrift Store Swap, where a group of bloggers ship each other thrifted finds and then your challenge is to give them new life. 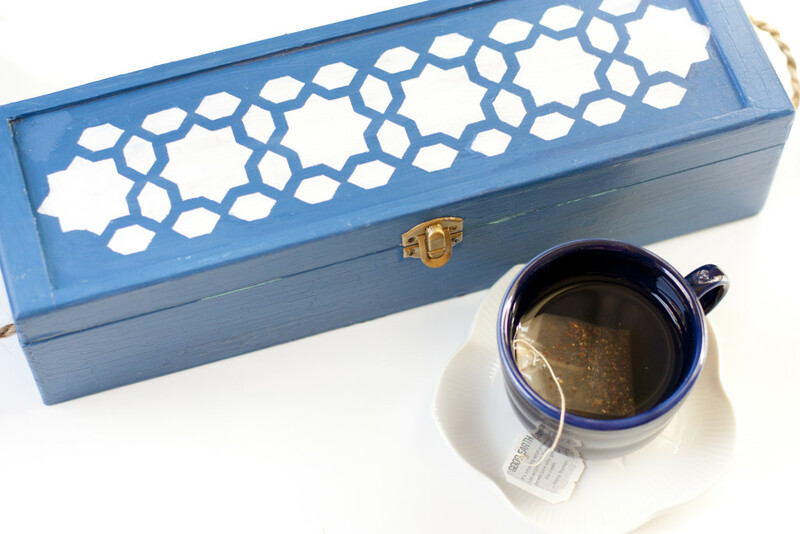 I’m really proud of my thrifted wine box turned pretty tea box and thrifted wall plaques turned inspirational sign. 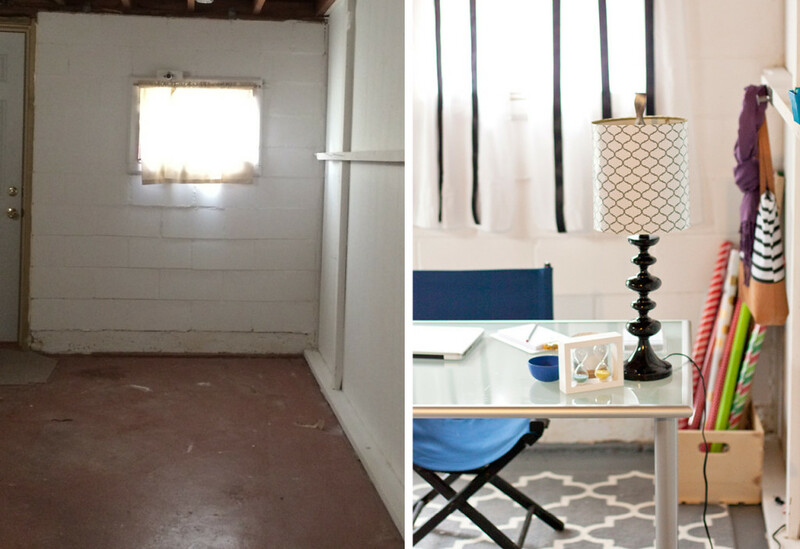 November was the conclusion of the One Room Challenge, and I was so proud to show off the transformation of our ugly basement into my craft studio. I shared a crazy amount of pictures of this room in my reveal post. Once again, I am so glad I have before pictures! 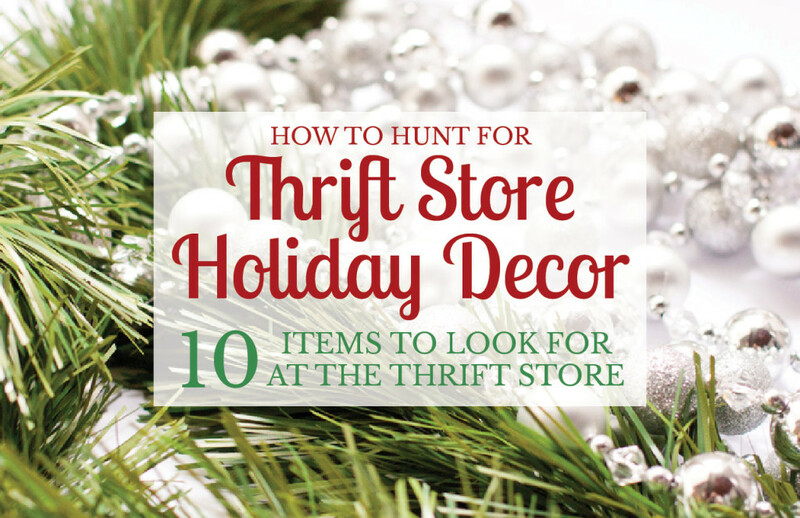 I also posted about hunting for treasure at the thrift store and shared a list of the top 10 items to thrift for to use in your holiday decor. This post was extremely popular on Pinterest leading up to Christmas and has already soared into my top 5 most viewed posts even though it’s one of my most recent. I participated in the monthly Silhouette Challenge a few times throughout the year, and my favorite project was this set of Christmas canvases. I received my Silhouette as a gift last Christmas, and it’s become my second favorite crafting tool (right behind spray paint). 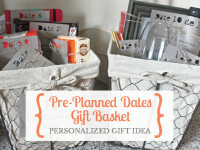 This post was also a first for me because we did a big giveaway, the first giveaway I’ve hosted on this blog. 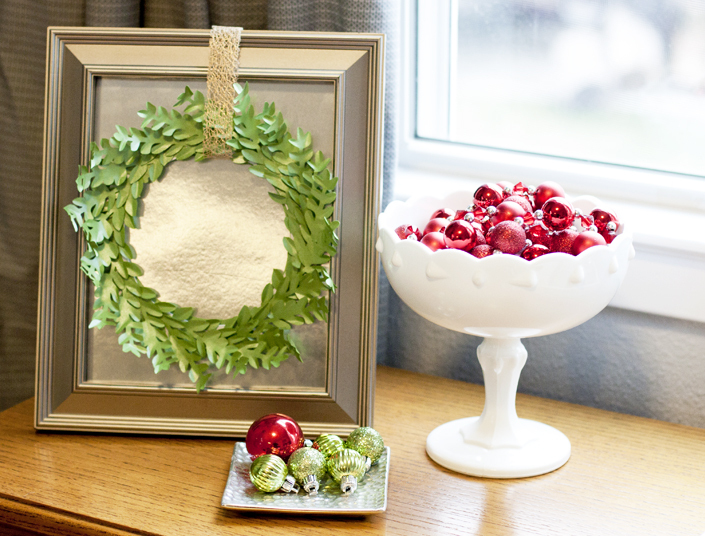 I also shared another Thrift Store Swap project in December, this mini paper boxwood wreath. 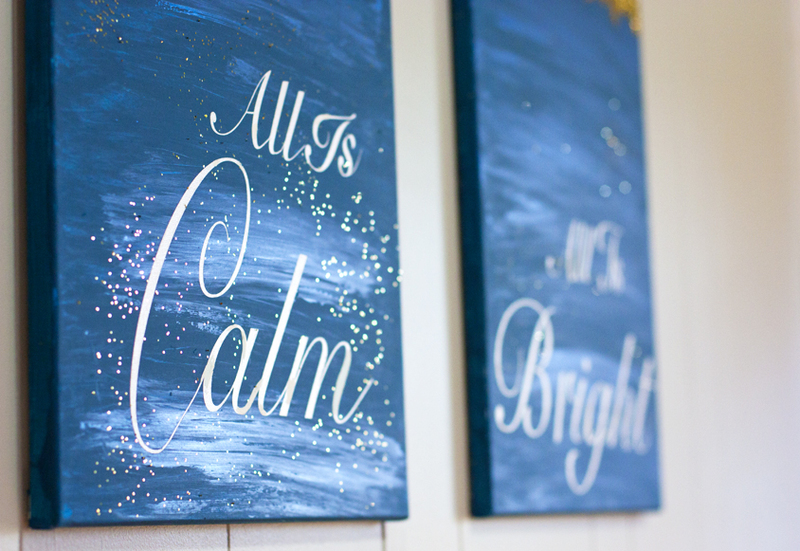 It’s become one of my favorite crafty projects yet! 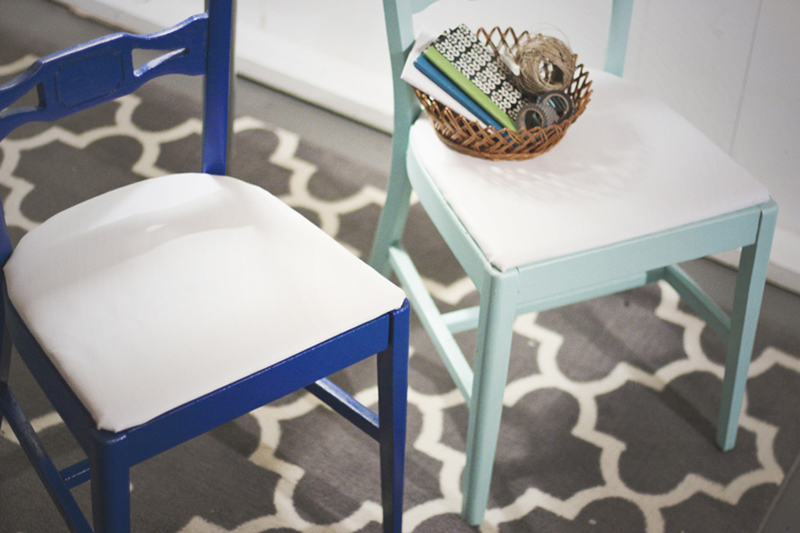 I’ve always wanted to participate in a blogger home tour, and was able to cross that off my bucket list earlier this month. 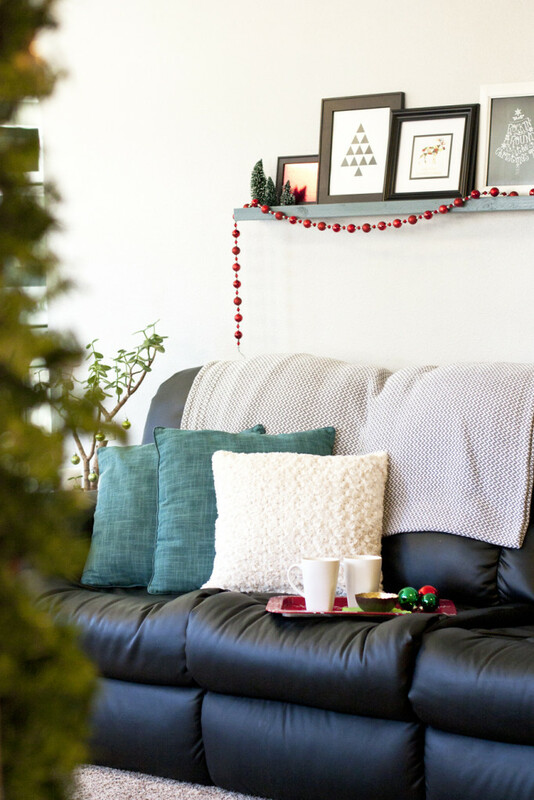 I shared my living room and dining room all decked out for the holidays as part of the Bringing Christmas Home Tour. It was so fun to show you around! What a year! I’m really proud of what I accomplished in 2015, but I already know that 2016 is going to be an even greater year for this blog. I spent this past week mapping out some big goals for The Small Stuff Counts, and look forward to having you right alongside me on the journey. 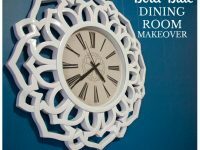 In 2016, you’ll be seeing many more home improvement and decorating projects as I continue to make over every inch of our house. 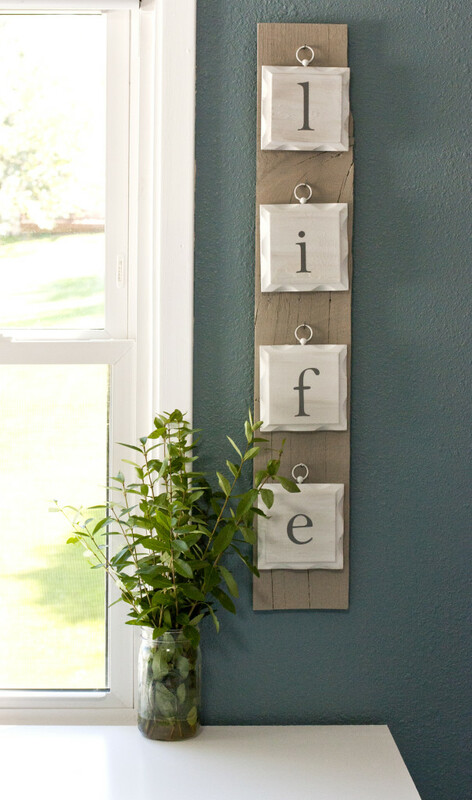 And there will of course be no shortage of craft and DIY projects. I also plan to share more posts about organization and productivity (which I’ve already started this week). 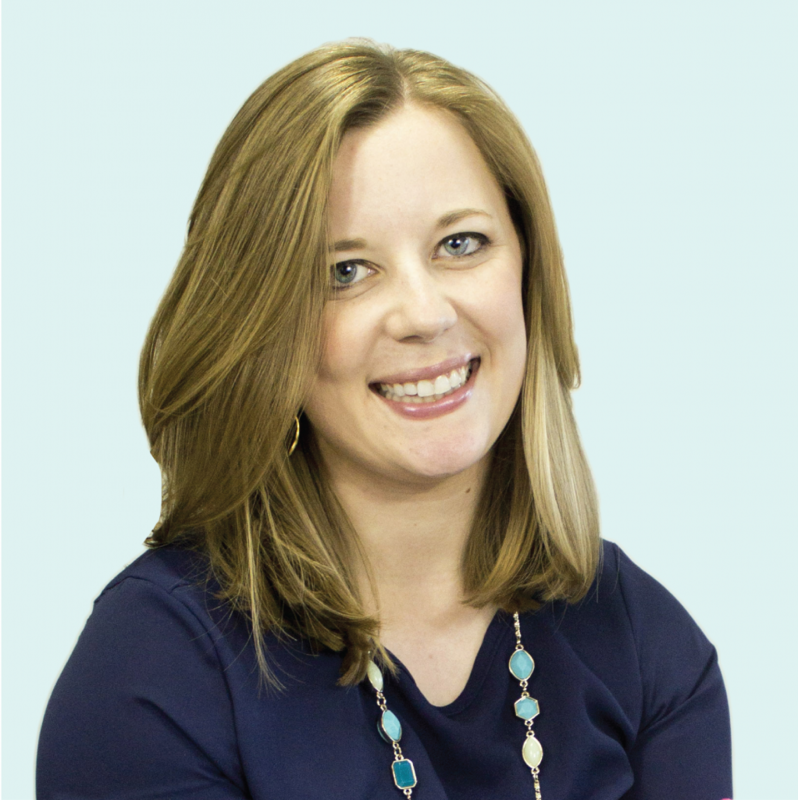 I’ve also started writing a new personal newsletter to my ah-mazing subscribers. If you want to get those emails with personal notes and exclusive content every couple weeks, I’d love to write to you. Simply subscribe here. Thank you for being a part of this blog. 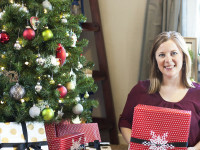 We’ve had a great year at The Small Stuff Counts and I’m looking forward to an incredible 2016!